Andrew travels extensively, contributing articles to newspapers and online sites. Recent trips: Brazil, the Amazon, the Pantanal, Bulgaria. 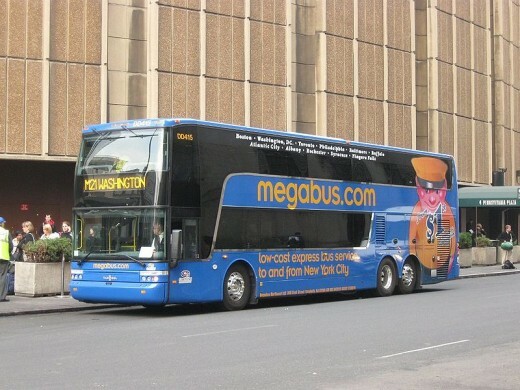 Many people use the Megabus service because it offers great value for money. If you want cheap, mostly reliable coach transport it is undoubtedly the best way to go. But there can be pitfalls and disadvantages. Learn more about the true nature of Megabus. Make sure you read this essential guide before you take the plunge, that way you'll be more prepared for what could be the journey of a lifetime. 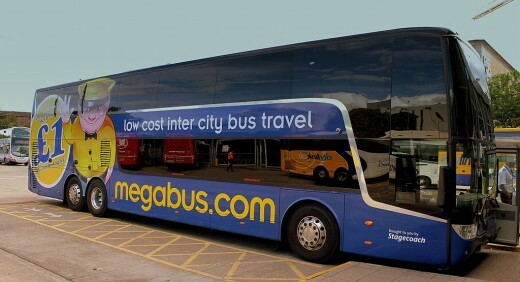 Megabus has already achieved legendary status by offering the cheapest fares for coach transport between major cities world wide. Just think about that huge tempting £1 advert splashed across UK Megabus vehicles, with the equally ridiculous 50pence booking fee. 50 pence!! Outrageous. But Megabus is much more than simple value for money. Most people who use this service end up with a personal story to tell. It could involve strange, eccentric characters, motorway disruptions, accidents, stinky toilets, stinky feet, loud and comical drivers. And the longer your journey the more stories you'll gather. Honestly, Why Ride with Megabus? * I can save more of my hard earned cash for other essentials, like soap. Most Megabus seats have a socket provided to plug into. WIFI is available but expect a slow, intermittent signal. All kinds of people use the Megabus service, from students to single old ladies, from young families to the world weary traveller. You'll meet them all, and more. Be amazed at the wide spectrum of humanity there before you as you line up to board the coach. you could end up sitting next to a person who likes nothing better than to plug in their app, stick in their earphones and play heavy metal music for 3 hours. You're within earshot, there are no more spare seats. you could end up in a seat next to a tired, screaming family from Birmingham. you won't be allowed off the bus for a quick smoke when the coach stops for the new driver to take over. Megabus is cheap but not necessarily nasty. All of my journeys on the famous blue coaches have succeeded in their aim - to get me from A to B safely and more or less on time! My last trip took 32 hours, from Leeds in the north of England to Barcelona in Spain. I can tell you now that my buttocks entered a different dimension and my mind was a bit boggled yet I survived all 5 changes of driver, a sniffer dog, a stinky toilet and an international dispute at a motorway service station. 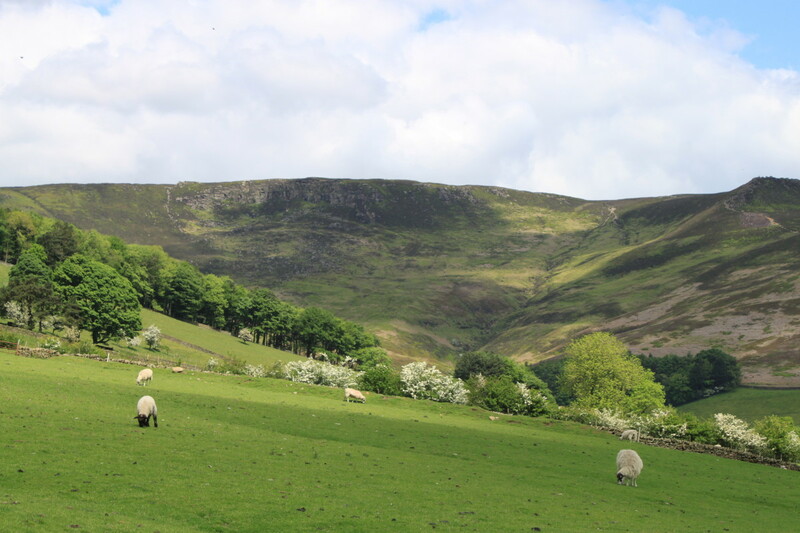 If you want adventure and a few colourful stories along the way then I recommend you book a Megabus trip. For those prized 1$ or 1£ seats go on line and book early. Up to 45 days in advance. Usually if you're the first to book you'll get the bargains. If you're prepared to travel at odd hours seats can also be very cheap. It goes without saying, be on time for your coach! Arrive a good 30 minutes before departure time and don't believe the stories you hear about Megabus coaches always being late setting off. On my last journey, from London to Barcelona, we set off on time at every stop. 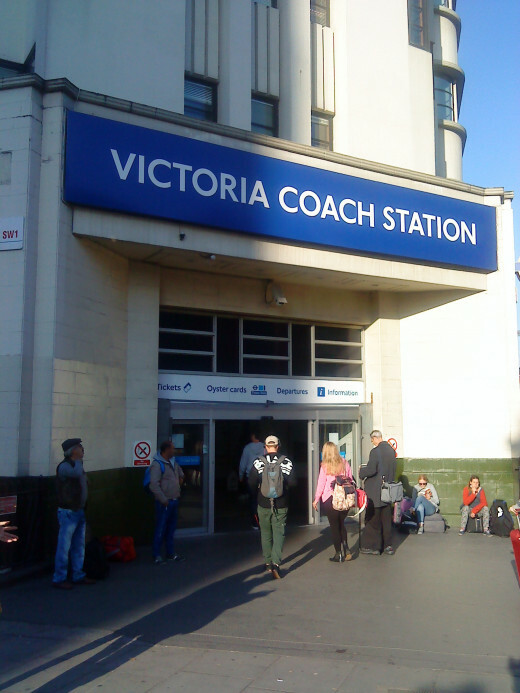 Yes, the odd coach might be delayed here and there, but always make sure you're early. That way you won't get left behind, as many do. Most drivers are there to help and to facilitate a smooth journey. Most are business-like, polite and professional BUT you do get the odd, eccentric driver who may want to do things their way, regardless of company rules. For example, on the trip back from Barcelona to Leeds we encountered a driver called Johnno in France who had a knack for delivering dark, shadowy comments on the coach's loudspeaker system. British drivers tend to be either stressed out to the point of pale lunacy or comically inclined with heavy doses of sarcasm for good measure. Some are exceedingly stubborn. One driver, a stout Yorkshireman with a beer belly, flatly refused to move his coach an extra metre at a service station in France so that an Italian coach could get to the fuel pumps. The Italian driver and assistant went near berserk in their attempts to get Beer Belly Ken to comply with their request. Ken didn't move an inch. He just sat there in his driver's seat giving the irate Italians a lesson in the improper use of contemporary English swear words! On longer journeys and at peak times expect some delays somewhere along the line. In the UK for example the roads become choked with traffic at rush hour, at holiday time and between major cities such as London and Birmingham. Listen out for announcements and make sure you get the right gate and number of coach. Delays cause knock on effects so don't be surprised to find your bus being delayed further as time goes by. It's best to have a minimum of luggage when riding with Megabus. You're allowed one large piece of luggage which must go below in to the hold and one hand held piece which you can take on board with you. Drivers are pretty strict about this. Some drivers allow for more than one hand held piece - say a carrier bag of food or shopping in addition to a handbag or small rucksack- if space permits. For details read the small print on line. For international travel always have your passport handy. Drivers will demand to see them, as will other authority figures such as police and customs and station officers. You will not be allowed on a coach traveling abroad without one. On a recent trip through France our coach was inspected three times by French customs officers. You have to do as you are told, stay seated and only stand when requested to. The final search was made with police and a black sniffer dog, looking for drugs and explosives. *Any passengers aged 15 or under must travel accompanied by an adult aged 18 or over. Some coaches stop in the middle of nowhere and, it being Megabus, you'll have to find your own shelter and warmth should the driver ask you to leave the coach. Take suitable clothing and protective gear with you if cold, wet weather is forecast. If your journey is a long one stock up on food first. Although Megabus timetables allow for stops and food breaks this isn't always the case so have some snacks and drinks prepared as a back-up. In my experience, there's no way a Megabus driver will stop for a requested food break. It just won't happen. It's first come first served on Megabus. There are no reserved seats as such, you climb on board and look for one that takes your fancy. If you're lucky you'll get a pair of seats all to yourself, where you can stretch out your legs en route. Otherwise look for the empty seat at the front if you prefer seeing the road ahead, or choose the rear for a view down the bus. On the larger double-decker buses most legroom can be found on the seats opposite the first set of stairs. Be wary of fellow passengers. Some might be stinky with no personal hygiene. Don't choose seats near the toilet, midway down the coach. Things can get smelly. I recommend females choose a female partner to sit next to. When the Megabus rolls into the station or stop you may have to queue to get the driver's attention. Be well advised, some people may have been waiting for hours and will want to get right up close to the driver! In my experience most drivers won't tolerate pushy, rude people crowding in around them. One particularly stubborn driver on a London to Newcastle trip refused to leave his bus until the crowd had stepped back in orderly fashion. He stood in the door entrance waving everyone back, demanding space. It can get noisy and competitive so just quietly nudge your way into prime position and be patient. For the cheapest seats book your ticket in advance. This way you'll guarantee yourself a seat and get real value for money. In an age of rip off and profiteering, Megabus offers true bargains for those with little spare cash. Go online and select your trip, print off the ticket and keep safe until the day of travel. Although you can turn up on the day hoping for a cancellation or a spare seat chances are there won't be any. Popular routes between major cities are often fully booked so make sure you get there in advance to avoid disappointment. I always book on line. It's quick and straightforward. If there are two of you traveling it's best if one of you handles the luggage while the other sorts out the tickets with the driver at the door. Megabus drivers don't have assistants so you'll be expected to put your backpack or suitcase in the hold at the side of the coach. I often travel with my partner and we've never had a problem with this. She takes the print out/ticket to the driver, points out that I'm handling the luggage and then hops on board to secure our seats. 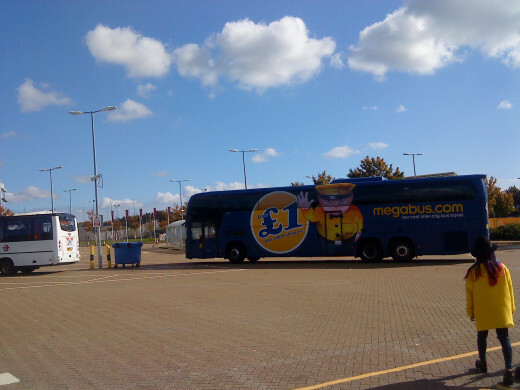 Have you ever used the Megabus service? Yes. It gives great value for money. I recommend it. Yes. I will never use it again. Noisy, dirty with rude drivers. Too right annasmom, the Megabus attracts all types of traveller, perfect for writers and other observers. Thank you for the visit, appreciate it. LOL! Took this thing from Indianapolis to Chicago. Yes, it was inexpensive...but trust, it was a long ride and absolutely at capacity. 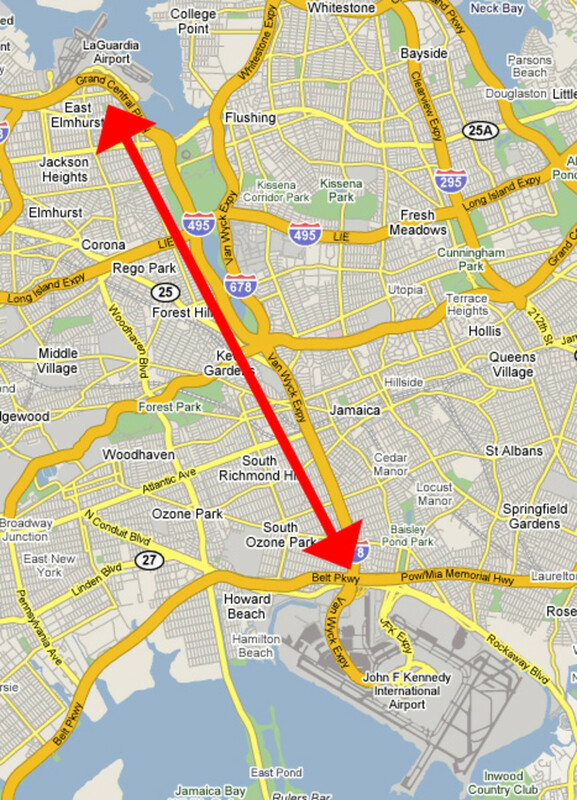 Would be a good hang out for an aspiring writer...ride the Megabus for a week. I am sure there are lots of stories to be found there. Maybe it has to be an experience one tries even just once in a lifetime! Ann, thank you. The Megabus service is great value for money no doubt - you just have to accept that some aspects of the journey will be shall we say, out of the ordinary! I've never heard of the Megabus before. It sounds interesting and is certainly good value but I'm not sure I could push and shove for a seat! Great for students and those with very little cash, as you say. Helpful suggestions and good pointers here, Andrew. I'll bear it in mind for future trips within Britain, but I don't fancy a numb bum on a long journey to the continent! Great presentation and full content as always.